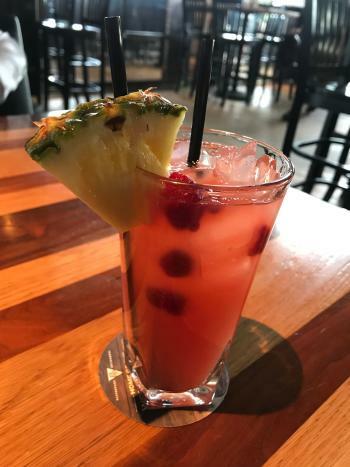 While you might categorize bar hopping or pub crawling as something you do in downtown Indy or in Broad Ripple, I’d like to suggest you could try some of the city’s best cocktails right here in Hendricks County, Indiana, all while keeping it classy and close to home. I called some of our county’s top restaurants to ask what their bar’s signature drinks are, and I was so pleasantly surprised by what I found. Nearly every place had its very own custom house cocktail or drink that they proudly crafted for their specific location. House Beer - Of course, the most popular drink at BJ’s are their beers. Eight of their house beers have won awards at national beer festivals. Their most popular brew is the Jeremiah Red, as well as the Brewhouse Blonde, Hop Storm and Committed Double IPA. Alabama Sunset - Many folks prefer a cocktail, and BJ’s house drinks don’t disappoint. One of their most popular cocktails is their Alabama Sunset, a mix of grapefruit vodka, passion fruit liqueur and three different kinds of refreshing juices: orange, pineapple, and lemonade. I did happen to try this one while out to lunch with my mom, and it was so refreshing with all the juices and the perfect, spring flavor. Blood Orange Pomegranate Sangria – If you love sangria but like a new twist, you definitely have to try this spicy and unique drink. It has Fireball in it for a cinnamon taste, blood orange syrup, pomegranate syrup, 14 Hands Merlot and orange juice. If that didn’t set it apart enough, it has pineapple tidbits floating in it for that perfect tropical touch. Baklava Martini - It’s no surprise that the signature drink in our county’s best Greek restaurant is a Baklava Martini! I have not tried it yet, but according to seasoned Opa! diners, it tastes exactly like baklava, only you’re drinking it. Do Greek the right way by trying this cocktail. Sangrita – This Greek spin on classic sangria can hardly be called a sangria. It features an interesting blend of Ouzo liquor (commonly used in Greece and adds a black licorice flavor), Moscato, mint and cherry flavor. These drinks are being designed and crafted currently by a mixologist and will make their appearance next month! Raspberry Rye – A rye whiskey cocktail shaken with Campari, lemon and raspberry gomme is a classy twist on a martini. Whiskey Bent Lemonade Stand – Who doesn’t love a hard lemonade? This one is pretty hard with bourbon, vodka, Captain Morgan and tequila and is topped off with lemon wedges and some Wilks and Wilson Gomme. Handle with care. Midnight Rider - This cocktail is also lemon-based, but that&apos;s where the similarities end. 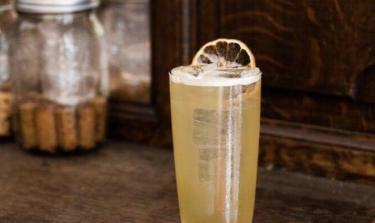 Black-spiced rum and Pendleton Midnight Whiskey are shaken with lemon, and the drink is garnished with a cinnamon and sugar rim. Raspberry Lemon Drop – If you want something a little more familiar but with a fun new flavor, this martini won’t disappoint. With raspberry vodka, Chambord, lemon and simple syrup. Bikini Tini – This could easily be a drink featured over spring break! This blend of citrus vodka and coconut rum is a beach-y twist on an original martini and almost makes you feel like you&apos;re at a swim-up bar in a pool somewhere in the Bahamas. Almost. Cloudy With a Chance of Mango – Step into the Stacked Pickle in The Shops at Perry Crossing for a fun cocktail. One of their most popular, handcrafted drinks is this cocktail that expertly mixes Cruzan mango rum, pineapple juice and Angry Orchard. Strawberry Lemonade – This isn’t your auntie’s strawberry lemonade. It’s a mean mix of Deep Eddy Lemon Vodka, lemonade and strawberry syrup. Refill with caution. Italian Margarita – Try this Italian twist on a traditional cocktail. 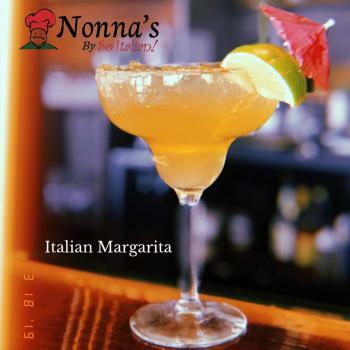 The Italian margarita is one of the most popular drinks at Nonna’s and is a fresh blend of lime juice and tequila, plus a shot of amaretto, giving it a unique twist. Tiramisu Cocktail – This cocktail is more dessert in a glass! And any time you mix dessert and alcohol, it&apos;s a win in my book. The main ingredients in the tiramisu cocktail are coffee liqueur, Ghirardelli chocolate sauce, cream and then it is topped with fresh whipped cream. It has a similar flavor profile to the homemade tiramisu dessert with an extra kick with the coffee liqueur. Pina Colada – While this is a basic cocktail at most places, it is made completely from scratch at Nonna’s with fresh pineapple juice, coconut and coconut and crème. Brew Margarita – This is Bru’s take on the classic margarita. The difference is their house-made sour mix, which takes out the super sweet candy flavor and adds more tart. This concoction also includes Blanco Tequila and Elderflower liqueur for perfectly blended flavors. Rusty Old-Fashioned - Bru’s spin on a traditional Old-Fashioned adds Drambuie (a cordial made with heather and honey) to give the traditional favorite a sweet and smoky flavor. Pear Cosmo – This white Cosmo uses white cranberry juice paired with pear vodka for a fresh kind of Cosmo. The Sharp Dressed Man – This crossover between an Old-Fashioned and a Manhattan takes muddled cherry and orange, tops them with bitters along with sweet and dry Vermouth and shakes it all together. It’s then poured over ice. It’s not quite as sweet as a typical Old-Fashioned but it’s flavor is certainly full-bodied. Love Potion – This wine-based cocktail made with strawberry vodka is sure to catch your lover’s eye. Under the Seas – This banana-based cocktail is made with lemonade. The tropical taste is unmistakable! Birthday Cake Shot – Maybe you just want to celebrate being another year older. Take a shot with strawberry icing and sprinkles on top with friends. I am sure that’s only a fraction of the amazing drinks our local restaurants and bartenders put together. Don’t be afraid to ask what the house cocktails are and if there are specials! Every single restaurant manager I spoke with was very eager and proud to share their signature drinks. I am sure they’d love to share them with you too. Bottoms up! Tags: craft beer, cocktails, Stone Creek, Bru Burger, Dawson&apos;s Too, Boulder Creek Dining Company, Opa!